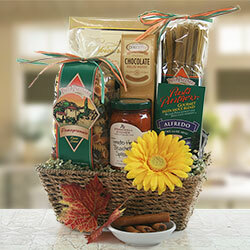 Something Sweet For Your Sweet Mom! 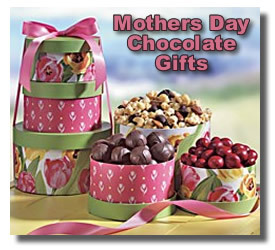 If you want to spoil your mom, splurge on Mothers Day Chocolate Gifts. The reason why it IS traditional is because chocolate candy gifts are so well loved by almost everyone. I, for one, am always more than pleased when someone treats me to something chocolate related - candy, cookies, cake, fudge, gift basket - I'm not the least bit partial! Moms typically spoil everyone else and rarely treat themselves to life's little luxuries. They always think about spending any extra money on the kids or grandkids. Mother's Day is a time for the tables to be turned and for mom to be the one who is treated like the queen she is. Update: My darling mom went to heaven in January, 2010, so this is my first Mother's Day without her to spoil. 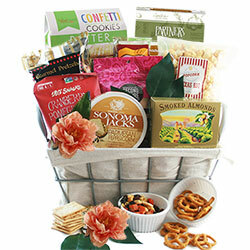 I always looked forward to finding ways to indulge mom a little on Mother's Day. I guess I'll have to settle for treating my husband's mom and my sister's from now on! 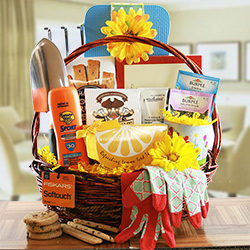 Here are some great ideas to pamper a mother in your life. 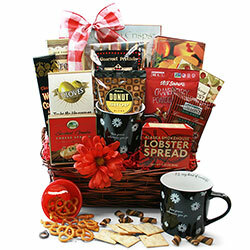 How about a Gourmet Gift Basket, or a box of gourmet chocolate from zChocolat.com. or gourmet chocolate covered apples. Whatever her favorite treat, be sure to let your mother know how much she means to you this Mother's Day and all through the year. Sadly, I haven't been blessed with children of my own. I always wanted a dozen, but the Good Lord had other plans. Sweetly, I often get chocolate candy gifts for Mother's Day from the kids in my Sunday School classes. Let me encourage you to consider those ladies that are a part of your life who may not be mothers, but wish they were. Encourage your own children to do a little something for them. I promise you they will be thrilled. Too, you may want to keep your eyes open for women who may not have any contact with their children or perhaps whose children have already passed away. Special holidays like this are a great opportunity to use something as simple as mothers day chocolate gifts to show kindness and love by being a blessing. To all you moms I'd like to say Happy Mother's Day! Here are a few more ideas for you to think about for your favorite lady! 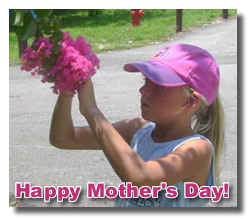 Have A Mothers Day Idea To Share? 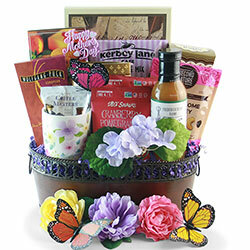 Do you have a fun Mother's Day recipe, gift idea, or craft that you've seen somewhere or come up with yourself? Don't be stingy, share it with the rest of us! 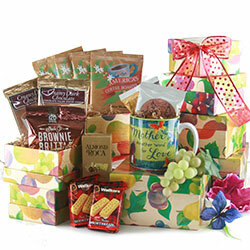 Your Mother's Day idea will appear on a Web page exactly the way you enter it here. You can wrap a word in square brackets to make it appear bold. For example [my story] would show as my story on the Web page containing your story. Do you have a picture of your Mother's Day idea to add? Great! Click the button and find it on your computer. Then select it.